Bassam Karam joined Raphaël & Associés in 2000. His rich experience in litigation over the years has made him an ideal head for our litigation department, a position he has held since shortly after he joined Raphaël & Associés. 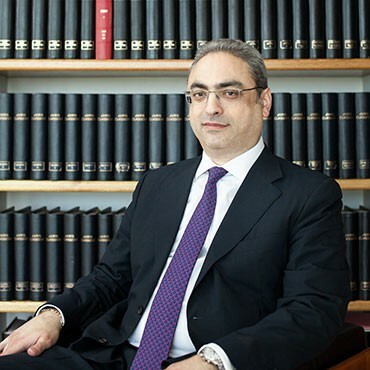 As a skilled mediator, Bassam Karam brings a unique approach to litigation, focusing on the conflict of our client as well as the legal arguments to be made in court. He has been a lecturer in Mediation for the Mediation Professional Center at Saint Joseph University in Beirut since 2011 and has aided Members of Parliament in attempts to update the tourism laws. His practice focuses on Real Estate Law; Corporate Law; Mediation; Execution and Enforcement; Agency and Distributorship; Litigation; Leasing; Debt Recovery; Bankruptcy; Banks and Banking.